With ovens offering roasting, baking and simmering functions, the electric AGA 60 also features a hotplate which enables you to boil, whilst the Gas Hob AGA 60 has four ring burners for every type of hob cooking. Both cookers have an optional timer which allows programmability on the roasting/baking ovens. 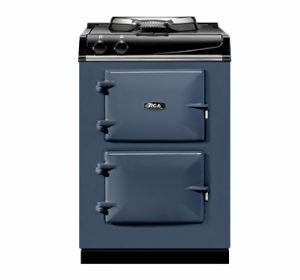 The AGA 60 offers cast-iron proof that you don’t need to live in the country, have a Labrador or be a farmer to enjoy the AGA life.